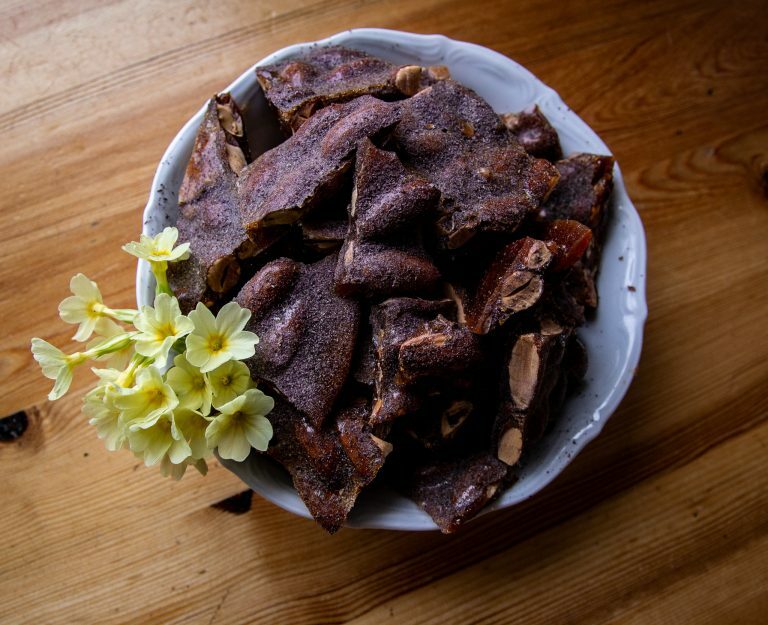 Dulse Almond Brittle - Lofoten Seaweed | From Lofoten, Weed Love. 1. Put the sugar, butter and water into a non-stick frying pan and heat gently. 2. Continue to stir until the sugar dissolves. Then increase the heat and boil for 4-5mins. You’re looking for a light golden brown colour. 3. Add the nuts and stir once before tipping onto a greased baking sheet. 4. Sprinkle on dulse powder. 5. Leave to cool and then snap into pieces to serve.